Who doesn’t like pink desserts? I personally love them; and when it’s mixed in with fresh fruit, it’s amazing! 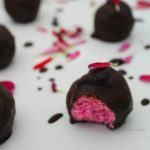 Raspberries and chocolate are a perfect combination in desserts and in truffles, so I made these! 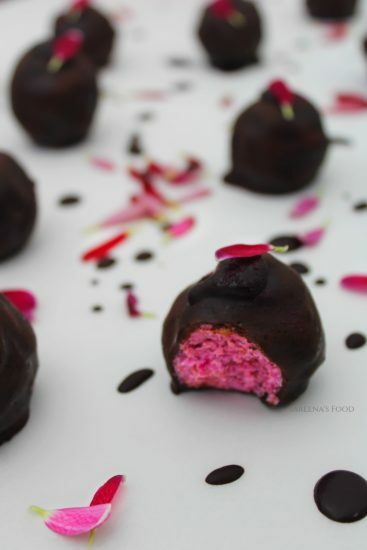 They are full of fresh raspberry flavor, yet have a good amount of chocolate in every bite! Start by blending the raspberries together. 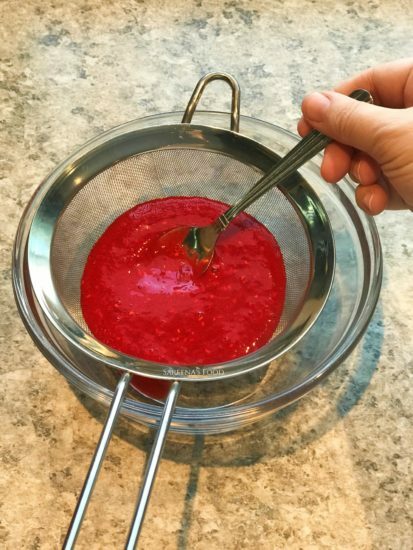 If you wanted a stronger raspberry taste, you could double the amount of raspberries and reduce the sauce over medium-low heat. 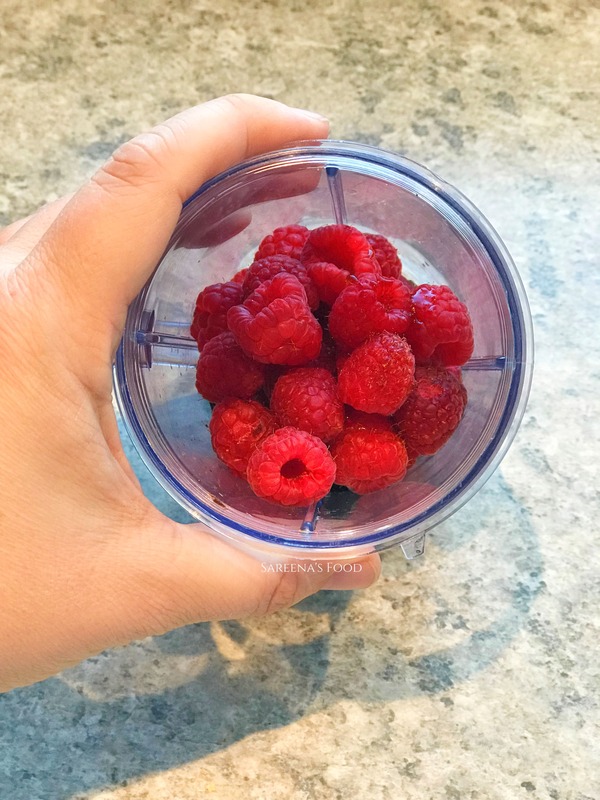 I used raw raspberries in the recipe. 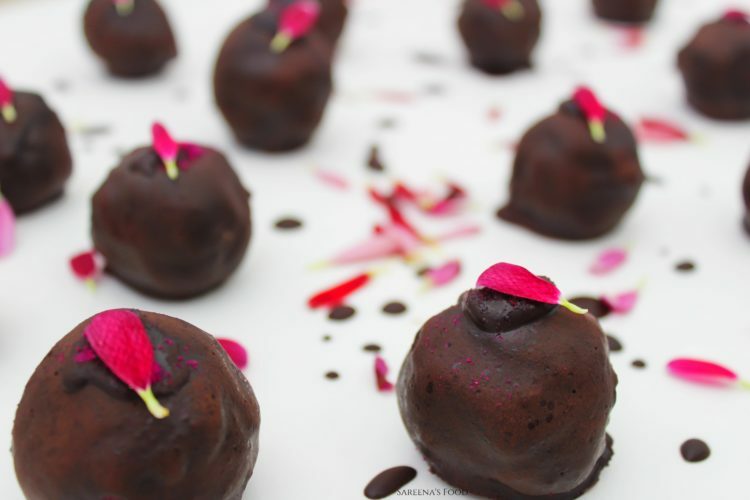 I strained the raspberries so that the truffles didn’t have seeds in them. You don’t have to do this, BUT it makes the finished product much smoother. Combine everything together and form into 16-1 1/2 inch balls. You need to press the filling firmly in your hands, BUT roll them gently. If it gets too difficult to work with, refrigerate for 10-15 minutes. Freeze for one hour. Now it’s time to make the chocolate coating. It’s so simple to make and you can make it as sweet as you want by adjusting the maple syrup in it. 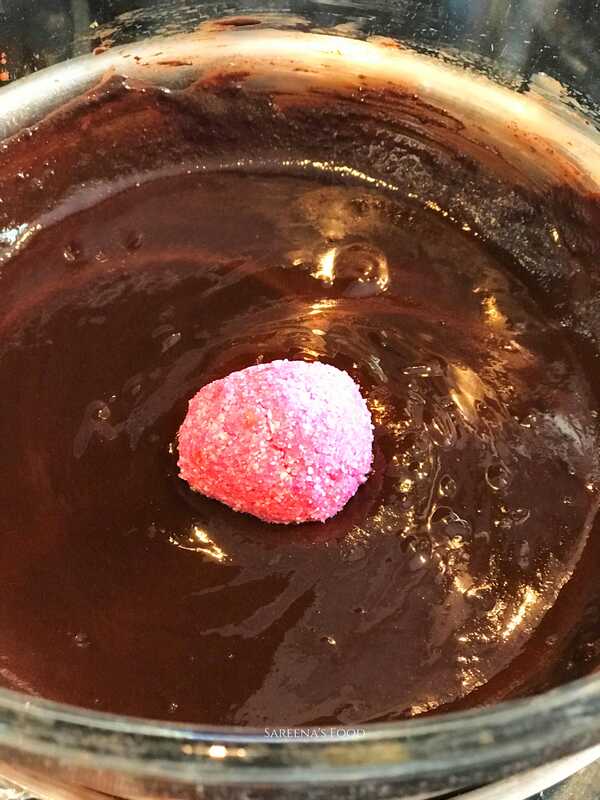 Once it’s all combined, roll the truffle filling in the chocolate and it will set within minutes. Refrigerate for 5-10 minutes and then enjoy! They will last up to two weeks in the refrigerator, but they never last that long in my house! 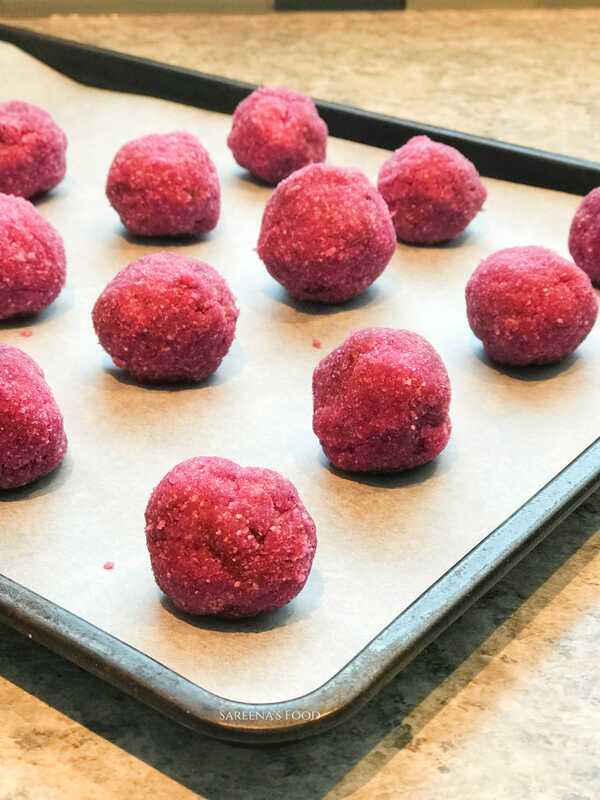 Combine the almond flour, coconut flour and the pitaya powder, if using, until it is completely combined. Puree and strain the raspberries. Pulse the dates and vanilla until it forms a paste. Combine everything together and form into 16-1 1/2 balls. You will have to shape the filling quite firmly, but don't roll them too hard. Freeze for 1 hour. Melt the coconut oil in a bowl over simmering water. Add the rest of the ingredients. Roll the truffles in the chocolate and let it set for 5 minutes. Keep refrigerated for up to 2 weeks.